The teenager indicted in a plot to commit an Islamic State-inspired mass shooting at a North Texas mall has struck a plea deal. According to the Collin County District Attorney's office, Matin Azizi-Yarand, now 18, will serve two decades behind bars for plotting to carry out a mass shooting at Frisco's Stonebriar Centre Mall. 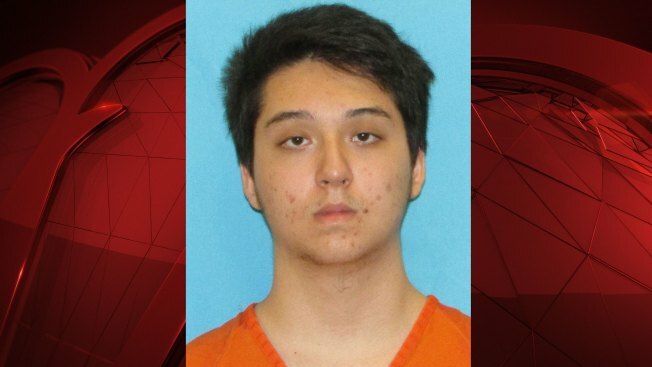 Azizi-Yarand, who lived with his parents in Plano, Texas, was arrested at Plano West Senior High School in May 2018. He hatched the terror plot in late 2017, communicating with two informants and an undercover FBI agent about possible targets. Investigators said he eventually settled on Frisco's Stonebriar Centre, sending $1,400 to buy weapons and supplies. He even mapped out a strategy. He planned the attack to coincide with Ramadan, a Muslim holiday, to limit Muslim casualties. When law enforcement learned his target date was just weeks away, they quickly swooped in. Since his arrest, Azizi-Yarand had been held on a $3 million bond. Several agencies gathered at the Collin County Courthouse Monday to praise law enforcement efforts. "This was a textbook case of joint investigation and prosecution that absolutely saved lives," said Collin County District Attorney Greg Willis. We owe the law enforcement agencies that stopped this attack an awful lot of gratitude," said U.S. Attorney Joe Brown, of the Eastern District of Texas. Under the deal announced Monday afternoon, Azizi-Yarand will spend 20 years behind bars for solicitation of capital murder of a peace officer and making a terroristic threat. After pleading guilty, he was given 20 years on the first count and 10 on the second, but the sentences will run concurrently. He'll have to serve at least 10 years before he's eligible for parole. Azizi-Yarand was arrested at 17, which made him an adult under Texas law. He was charged in state court for that reason, because he would have had to be at least 18 to be tried as an adult in federal court. Before the plea deal, he could have faced up to life in prison. Prosecutors said they were pleased to come to an agreement, avoiding a trial that could have forced investigators to spill their anti-terrorism tactics they'd rather keep secret.